Did you know starting next year at Frontal Lobe Coworking we will have a new unique business running out of our space…InfiniteLearning! Learn more about their business and the types of services that will soon be available in Downtown Howell, Michigan! We’d like to introduce you to a new learning opportunity for students in downtown Howell (located at the lower level of Frontal Lobe – next to Dairy Queen) at 110 East Grand River. InfiniteLearning offers innovative instructional supports to students in middle and high school grades in mathematics. The inviting, collaborative learning environment allows students to receive instructional supports in small or large group settings. The collaborative approach to learning increases cross-cultural interactions and strengthens the team approach to problem solving. Private one-on-one instructional supports will be offered; however group sessions will be encouraged to develop collaboration, communication, and interpersonal skills for students. In particular, we will begin with a focus on critical and analytical thinking skills and strategies for the Redesigned SAT math test. Our sessions are broken down into the 4 sections that the College Board has identified as areas of the redesigned SAT math test. They include Heart of Algebra, Passport to Advanced Math, Problem Solving and Data Analysis, and Additional Topics in Math. Each session is 2 hours in length and is offered 6 different times (during a 2 week period) to accommodate family schedules. The session times run from Tuesday or Thursday from 6:30-8:30pm and Saturdays 9:00-11:00am or 1:00-3:00pm. Because we intentionally didn’t want to lock families into a set schedule the sessions are running multiple times. In addition, we’re offering simulated math portions of the test with a review time immediately following. Each session is limited to 10 students per session. Our prices for the sessions are listed on our website (see below) and we’ve included a discount if students registers for 4 sessions and a practice test. We’ll be taking reservations now and payment after the first of the new year. 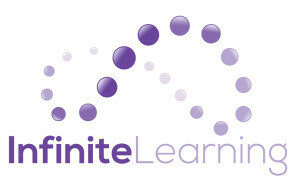 Please visit www.infinitelearning-center.com for more information. We’ve included a sample of the flyer and postcard that is available if you’d like to share them with students and families in your school community. Please feel free to contact us at 1-877-852-5327 or email at info@infinitelearning-center.com. We’re happy to answer any questions that you might have about the SAT math prep services or the learning center in general. Thank you, in advance, for supporting students in their academic careers.